Here at Literature Works, we love writing that centralises place. There is something about the effect of capturing a place in words that lends it a certain immortality, a legacy and that is one of the things we aim to celebrate: a place’s heritage and its impact on writers’ work. Capturing a place in words that lends it a certain immortality, a legacy and that is one of the things we aim to celebrate: a place’s heritage and its impact on writers’ work. 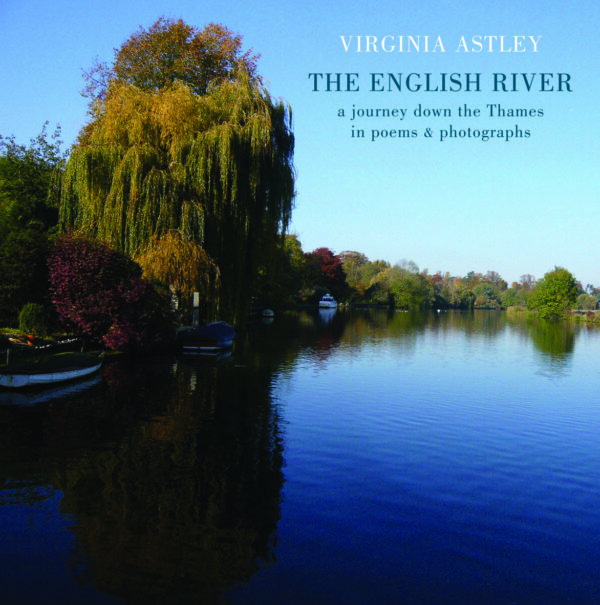 We were delighted to be sent an advanced review copy of Virginia Astley’s debut poetry collection, The English River, which simultaneously celebrates an iconic English landmark and a time in the poet’s life which has been immortalised in lyrical, complex poetry which provide an undeniable celebration of both time and place. From the opening poem ‘Source’ and it’s calligrammatic form to poems like ‘The upper river after Christmas’ to ‘Beyond Greenwich’ and ‘Homecoming’, there is a real sense of the river Thames here. It’s ebbing and flowing, it’s changeability in various seasons and with various external influence is rendered knowable and more than that – the reader is introduced to the life of the river. Be that wildlife or the people of the river, they all live in these poems and have been captured in play with form, subject and emotion to create a unique reaction as one progressed upriver and through the collection. Astley’s musical background couples well with her aptitude for photography here – the collection is punctuated by images taken by the poet – to create a journey for the reader which encourages deeper engagement with the river as a subject, as a body and as a place. All the metaphorical references to rivers are teased out in these pages until the reader is left with a sense that they really have embarked on their own journey along its banks. A stunning debut which showcases Astley’s grasp of multi artform working to have created a collection which musical, complex, moving and beautifully well realised. The English River is published by Bloodaxe, available today. We caught up with Virginia to talk about The English River, the importance of place and how her multi artform background influences her writing. 1. The English River is your debut collection of poetry. 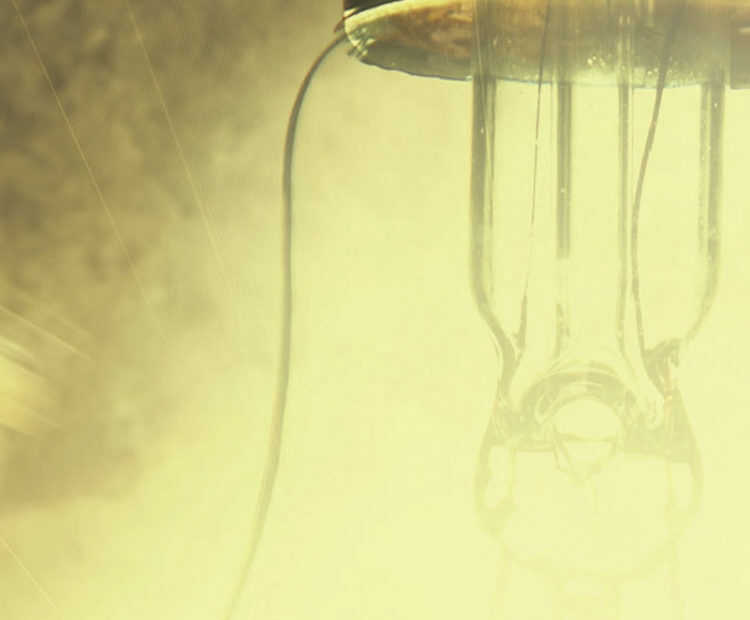 Can you tell us a bit about the inspiration behind it? I wanted to write about the Thames after returning to the river after some years away. Beginning my journey in a damp field in Gloucestershire over the course of three years I travelled downstream to the estuary in the North Sea. I’d grown up by the river and was curious to see if the resident lock keepers I remembered from my childhood were still living in their waterside homes. They were, but their way of life was under threat from the Environment Agency wanting to rent out their cottages for premium rents, by having one lock keeper covering several locks and no longer living on site. As I grew up a little further downstream these upper reaches were unfamiliar, but their features: wide skies, stretching fields, chalk streams and willows, were all imprinted on my earliest self. Spring came round, and the river, like a virus, had entered my blood. I left my home and returned to the river, basing myself at Benson lock where I worked as the lock keeper’s assistant. This is the reach where I grew up and as time went by I was increasingly unsettled by a combination of tiredness, continual rain and the river itself dredging all kinds of memories I would rather have left submerged. Balanced against this was the strong fellowship and solidarity I forged with my workmates. I learnt how to run the lock but the weirs themselves remained a dark art. 2. There is all of life on the river in the collection and the photographs are a charming and engaging accompaniment. How important were they to the writing process? The poems were first written to punctuate a prose manuscript I was working on; they illustrated what was coming up next. I took many photos as part of this project to remind myself of the river and river folk when I was away. The year I was working there, 2012, was the wettest one on record. It simply didn’t stop! I was working six days on the river and then home for two days and I’d try and write from my notes and photos. I was in touch with Paul Evans and I think emailing Paul and his replies kept me going. It was quite bleak at times. 3. You completed a writing residency at Hardy’s Cottage in Dorchester as part of our project Writing Places last year, what were the most striking differences between time spent at the cottage (we know the pond there inspired you) and the time you spent documenting life on the river Thames and how did both experiences impact on your writing? One of the main differences was when I was at Hardy’s Cottage I was very focussed on other people’s work and the process of inspiring and encouraging others to write. My own work took a back seat. Although in a way this paralleled the experience of working on the river as there I had to focus on the boaters and the rising water levels! But this way of writing in stolen minutes, making scribbled notes, or tapping the odd line into my phone before I fall asleep is well suited to poetry. In both instances it was only in the time afterwards that I could make sense of the experience and figure out a little of what it meant. One big difference was the influence of Hardy. I was very aware of treading through a landscape that he knew and loved, that features prominently in his novels and poetry. There is not a single writer who can lay such a strong claim to the Thames. By the river I don’t feel as though I’m walking in someone else’s footsteps, or quite the same sense of someone else’s presence. Another striking difference is the physical landscape. At Hardy’s Cottage you very much feel you are in the woods. There feels a level of protection in this. The river is more open, you are in the wide river valley with far-reaching views. Very different to Dorset. It can feel very exposed by the river and the Thames is a force too; there’s something addictive about it. However, both landscapes are taken up by visitors passing through, while as a writer or someone working, you are far more static. Both places – the river, and the heath about the cottage – are important to me, and the longer I spent in each, the more I came to miss each when I was away. I didn’t want to be inside the cottage at all, just out on the heath, in the woods or in the little shepherd’s hut. A lock keeper’s hut is a similar size and space to a shepherd’s hut. I like these basic forms of shelter. Both at Hardy’s Cottage and by the Thames I spent the majority of the daylight hours outdoors. Even in all that rain! 4. You’re prominently recognised as a singer and song writer. 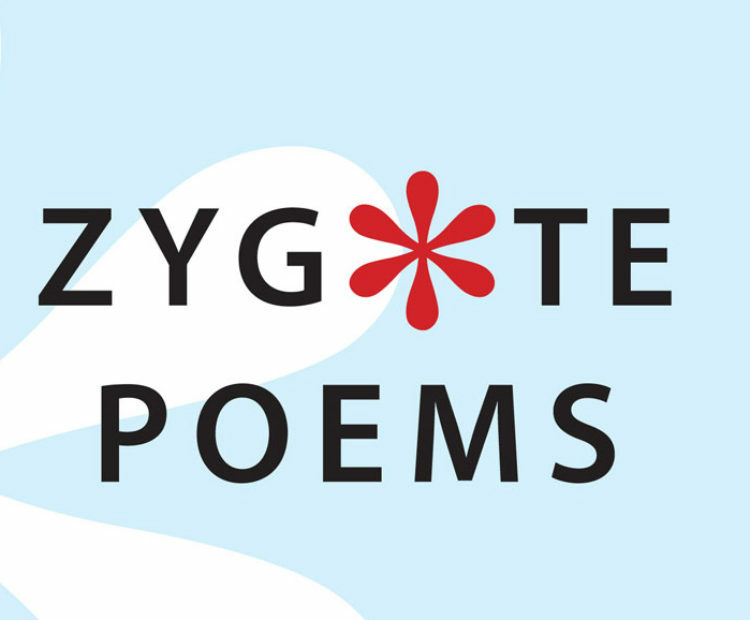 Can you tell us a bit about the transition from music to poetry? I think there’s a deep connection between song-writing and poetry. They feel like hybrid forms of the same thing. Many songs and poems filter from personal experiences and for me there’s a sense of working things out by writing them out. Problems are solved walking too, again this link back to being outdoors. I started writing prose first, and then gradually poetry took over. But I miss writing music and lately have been writing music to go with the river poems. 5. What would a perfect day’s writing look like for you? There was a perfect day at the cottage when the cottage was closed for the day due to a gigantic storm. No one came to the woods and yet, walking deep into the forest, under the trees you’d hardly know the storm was going on outside. I gathered a great supply of firewood and back at the shepherds hut fed the stove and settled down to write. 6. What are you working on next? I’m working on shaping the poems I wrote during the residency last year and putting these with other poems I’ve written while working as a conservation assistant at Max Gate. My daughter and I perform regularly at Max Gate and are taking part in the Hardy Conference this year so there’s quite a bit to write and rehearse for these events too. We’re also performing at Drift Records in Totnes on August 4th – this will be harp and poetry and I’ll be reading from The English River.